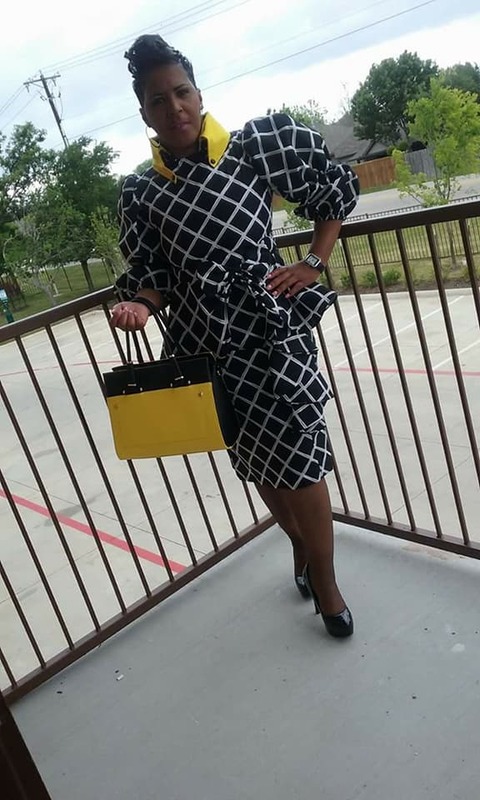 DUNCANVILLE, Texas — We begin with a rather fascinating Biblical passage, one that, all things considered, is especially befitting for this feel good story involving Christi L. Henderson. 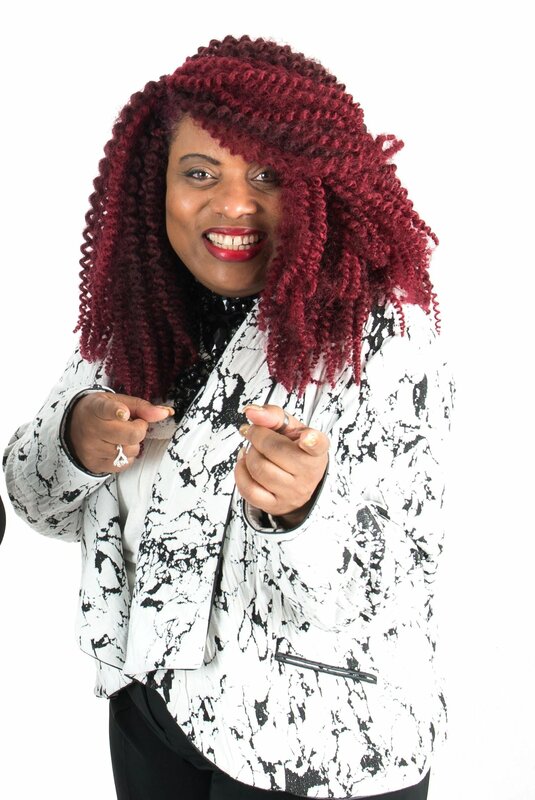 SHE TOLD Y’ALL — Having said time and again in recent months that her book would eventually become a play, Christi L. Henderson had ultimately joined forces with prominent playwright and fellow Evangelist, Elder Kasha Hunt of KO Productions, who emerged as the mastermind behind the hit play, Removal Of The Mask. As it is written, I have made thee a father of many nations, before him whom he believed, even God, who quickeneth the dead, and calleth those things which be not as though they were. 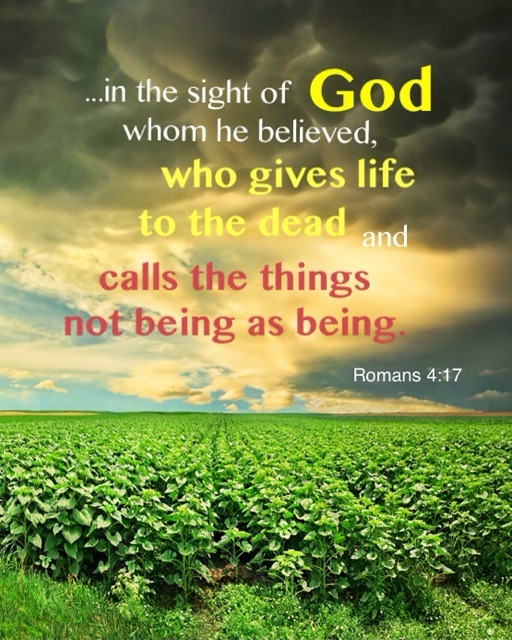 A familiar, awe-inspiring passage that is housed in Romans 4:17, it is one that, much to Henderson’s delight, is appropriate for what undoubtedly is unfolding right before her very eyes. 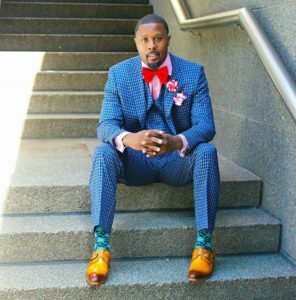 “My mission is to give hope to those who feel there is no hope,” Henderson, 49, a Dallas/Fort Worth-area evangelist, told Making Headline News this week. 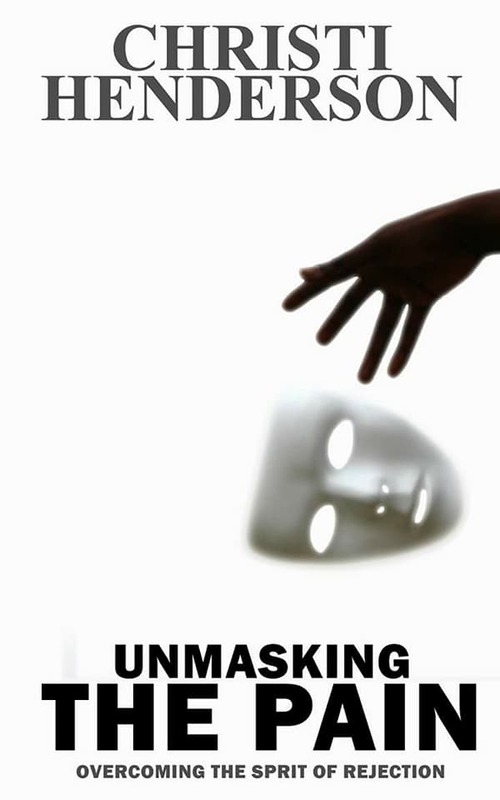 The Removal Of The Mask stage play will debut with two showings on May 19 at the historic W. E Scott Theatre, located at 3505 West Lancaster Avenue in nearby, Fort Worth. 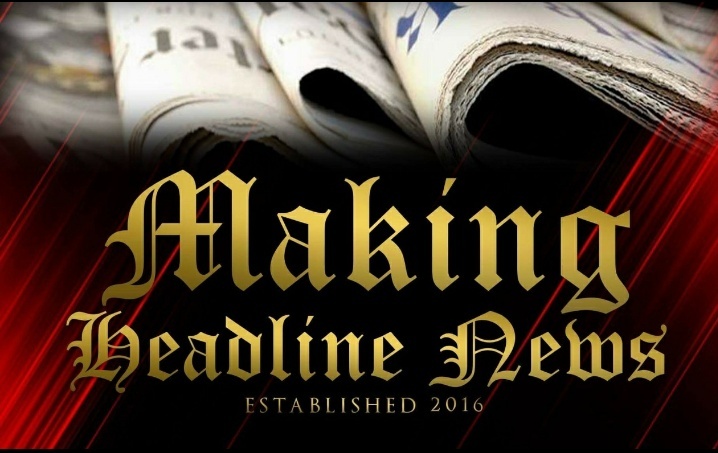 Show times are 2 and 7 pm CST. A little more than seven months removed from the much-anticipated release of her book, Henderson not only called those things which be not as though they were but, to her credit, such a spiritual prophesy has come full circle, considering her exhilarative written document has been constructed into a stage play, one that figures to take the Body of Christ by storm. 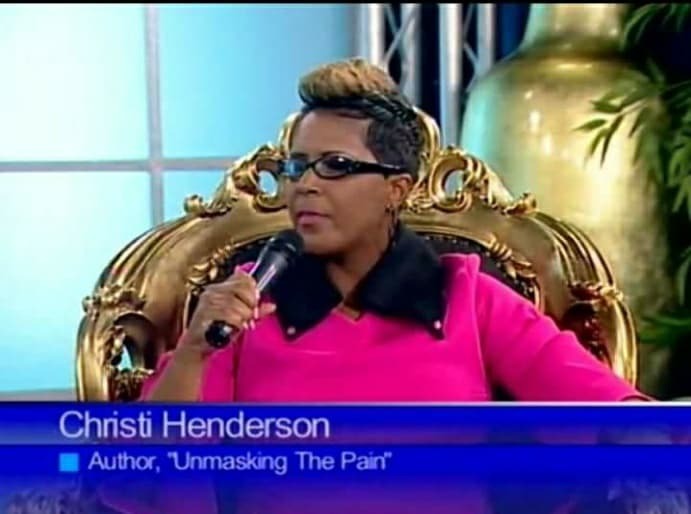 Having said time and again in recent months that her book would eventually become a play, Henderson had ultimately joined forces with prominent playwright and fellow evangelist, Elder Kasha Hunt of KO Productions, who emerged as the mastermind behind the hit play, Removal Of The Mask. 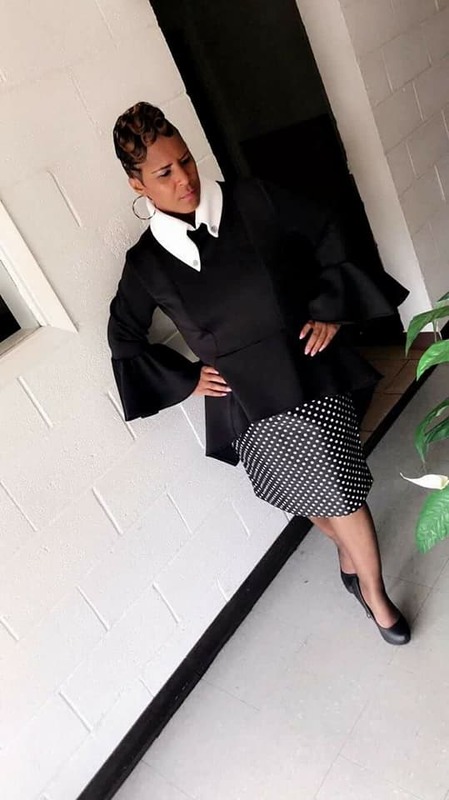 THE FACE OF THE PLAY — Kasha Hunt is an Author, Playwright, Motivational and Conference Speaker, Award-Winning Radio Show Host and Evangelist. Now we know why…we know why the above Biblical passage is especially befitting for this feel good story involving a woman whom, at the end of the real day, can greatly attest to what it’s like to weather arguably the darkest chapters of her life — with God, her Helper, leading the way. 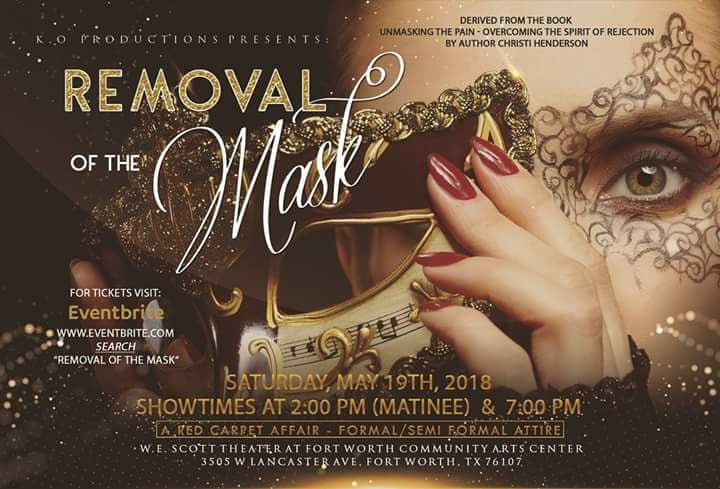 The Removal Of The Mask stage play will debut with two showings on May 19 at the historic W. E Scott Theatre, located at 3505 West Lancaster Avenue in nearby Fort Worth. Show times are 2 and 7 pm CST. As expected, Henderson is extremely vivacious, considering that about which she had previously spoken into the atmosphere has suddenly come to fruition. Errr, anyways, back to the story. A little more than seven months removed from the much-anticipated release of her book, Henderson not only called those things which be not as though they were but, to her credit, such a spiritual prophesy has come full circle, considering her exhilarative written document has been constructed into a 13-cast-member stage play, one that figures to take the Body of Christ by storm. While Removal Of The Mask depicts an assortment of Henderson’s personal experiences, she said the slew of messages she aspires to send to the masses are some whereby she hopes they will apply to their lives daily. Still, despite the array of turmoil and downtrodden developments that, at times, had left Henderson questioning her very existence, what she had ultimately discovered is that no one could give her the kind of joy and wholeness to life the way God can. All of which practically sums up why this stage play makes so much sense in this, the modern-day church era. Interestingly, even upon the release of her book, Henderson recalled people often prophesying to her that a play would soon be forthcoming. Look at God, showing off as only He could. 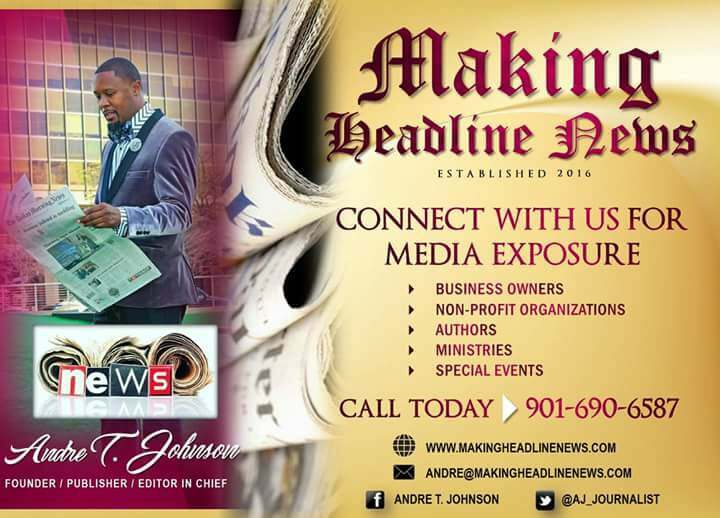 KEEPIN’ IT 100 — While Removal Of The Mask depicts an assortment of Henderson’s personal experiences, she said the slew of messages she aspires to send to the masses are some whereby she hopes they will apply to their lives daily. “I was also prophesied to by many people that the book would become a play,” Henderson, an accomplished Texas businesswoman who is the CEO of Henderson’s Financial Consulting, said. “And as people started to read it, they would say the same thing and I prayed about it, and the Lord confirmed it to me and I reached out to KO Productions about my vision.”All of which practically sums up why this stage play makes so much sense in this, the modern-day era. 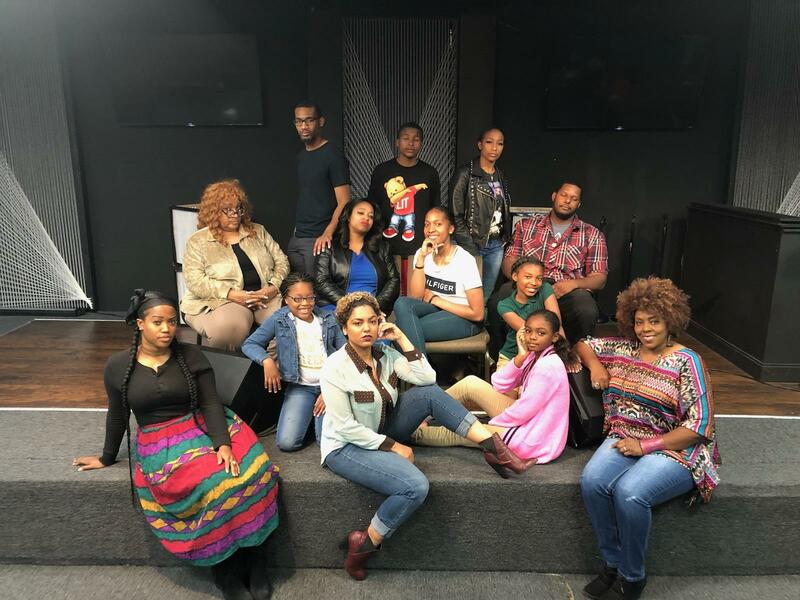 It wasn’t too much long after the release of Henderson’s book that a stage play had broken out — broken out much like some much-needed praise break. Now with the play’s debut just weeks away, Henderson has deemed it essential to call others things which be not as though they are. Among those things: She’s expecting a massive turnout for both shows. 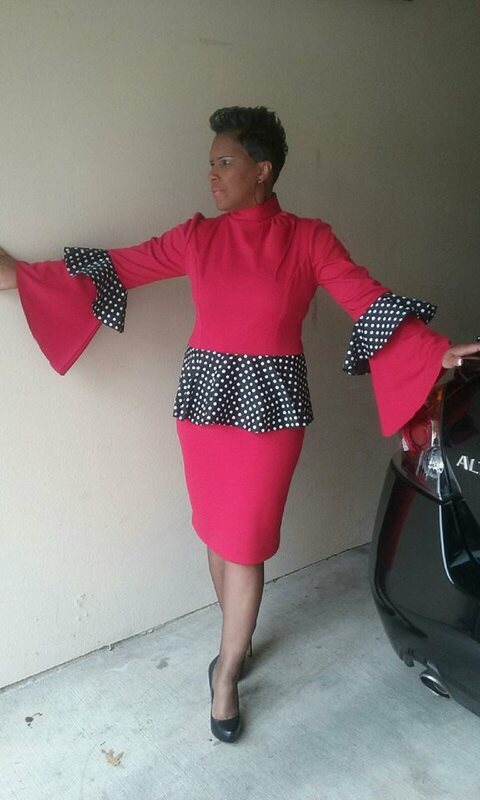 For more information about Evangelist Christi Henderson or to schedule her for a speaking engagement or book signing, email her at christihendersonministries@gmail.com.